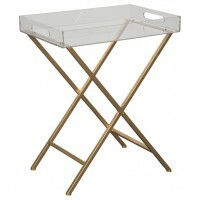 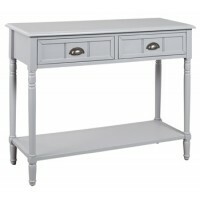 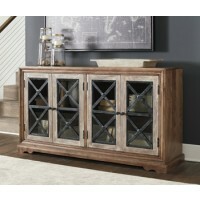 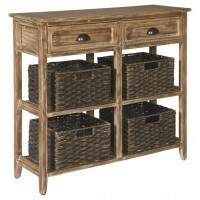 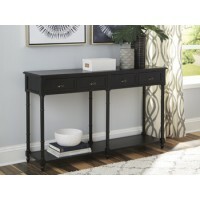 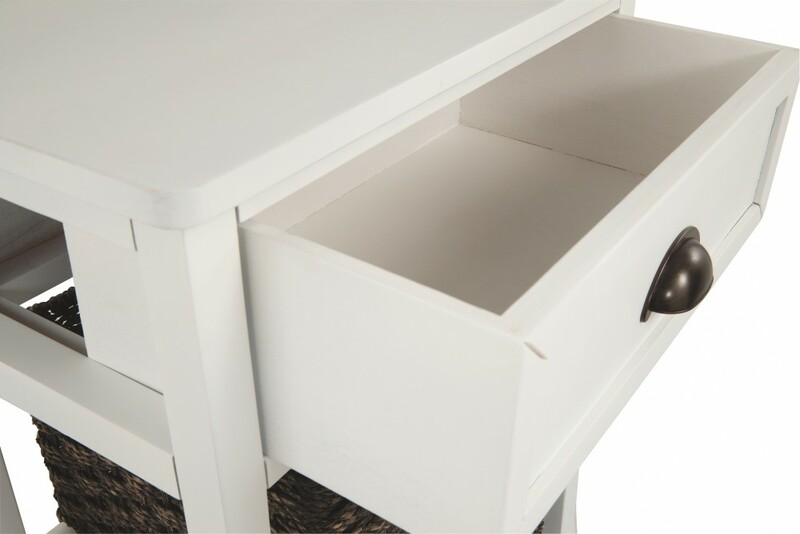 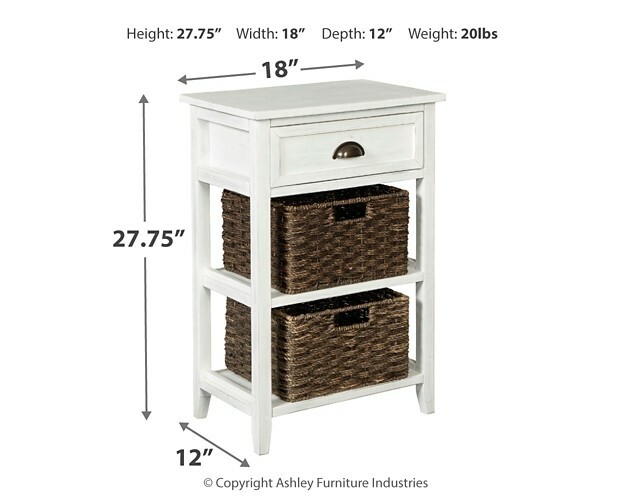 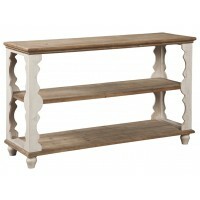 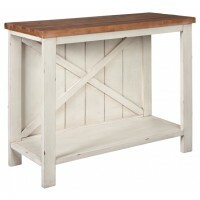 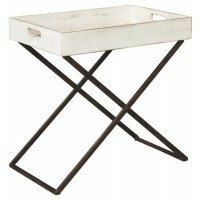 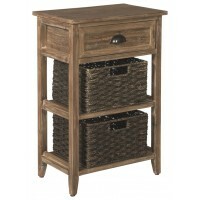 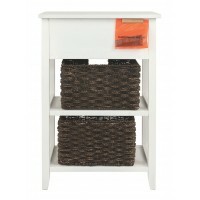 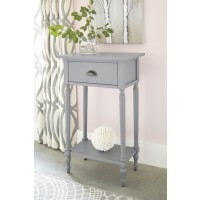 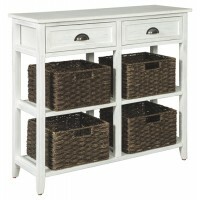 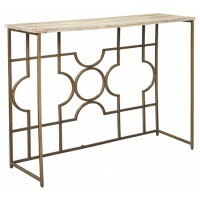 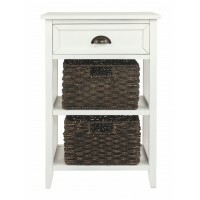 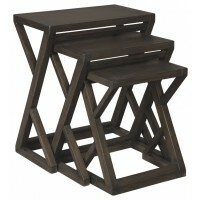 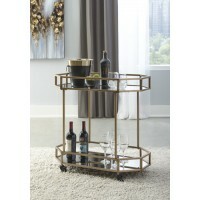 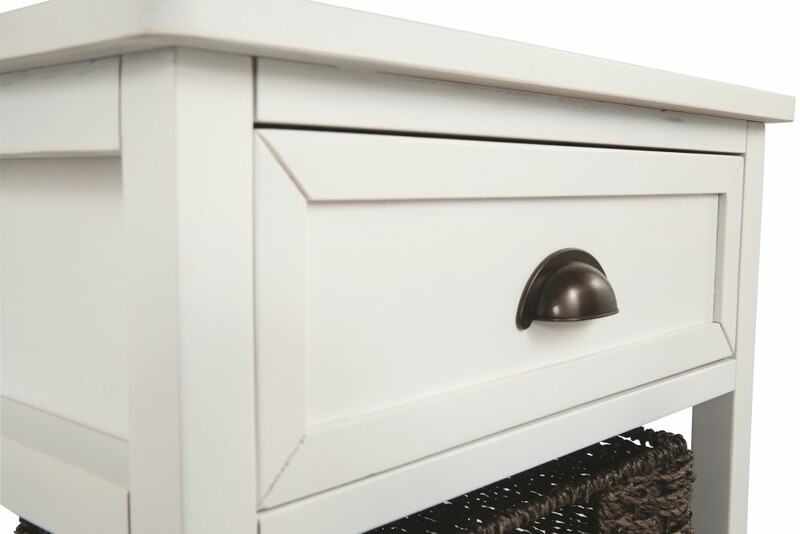 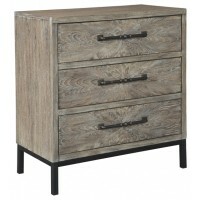 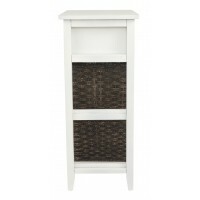 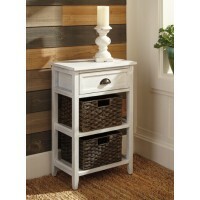 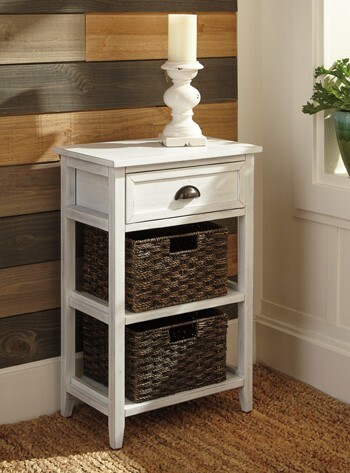 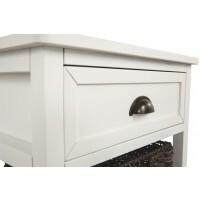 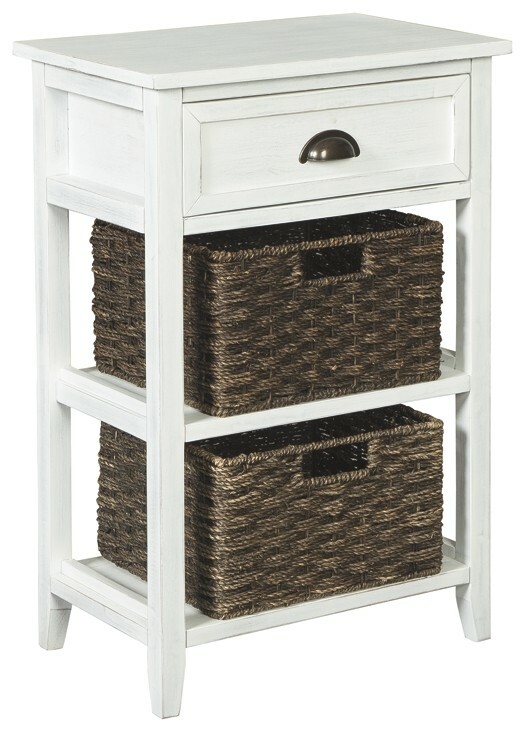 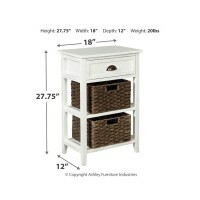 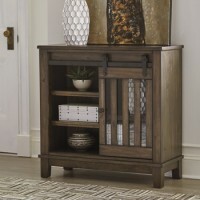 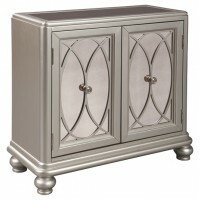 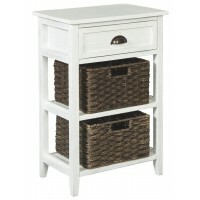 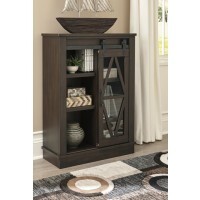 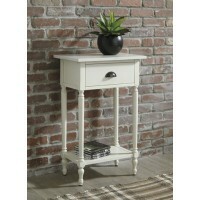 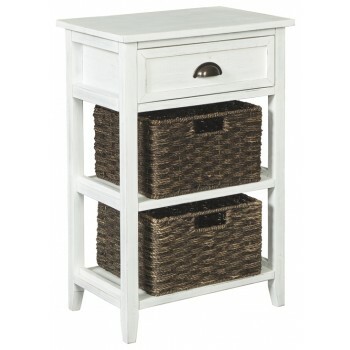 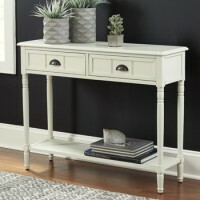 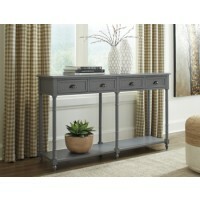 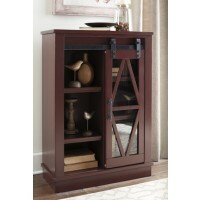 Make your modern farmhouse or cozy cottage that much quainter with this accent table in antiqued white. 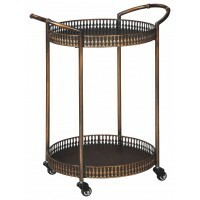 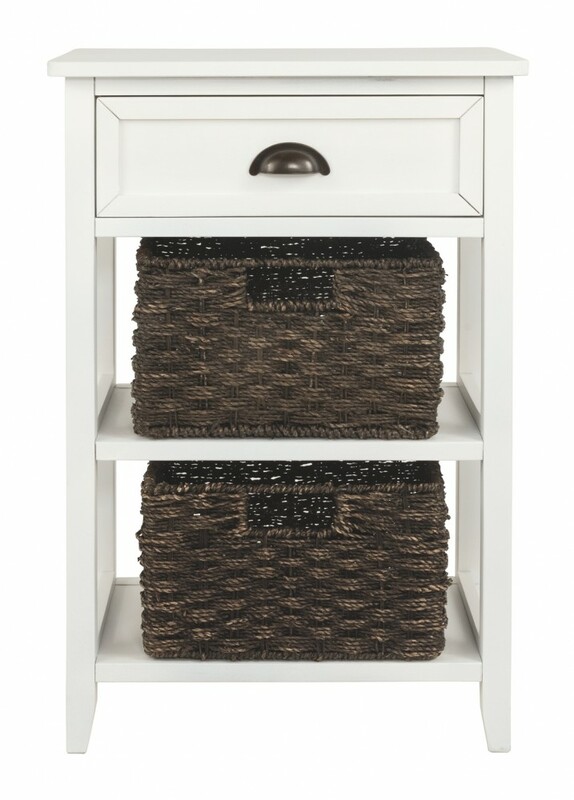 Pair of woven storage baskets enhance its casually cool sensibility, while cup pull adds a retro-chic touch. 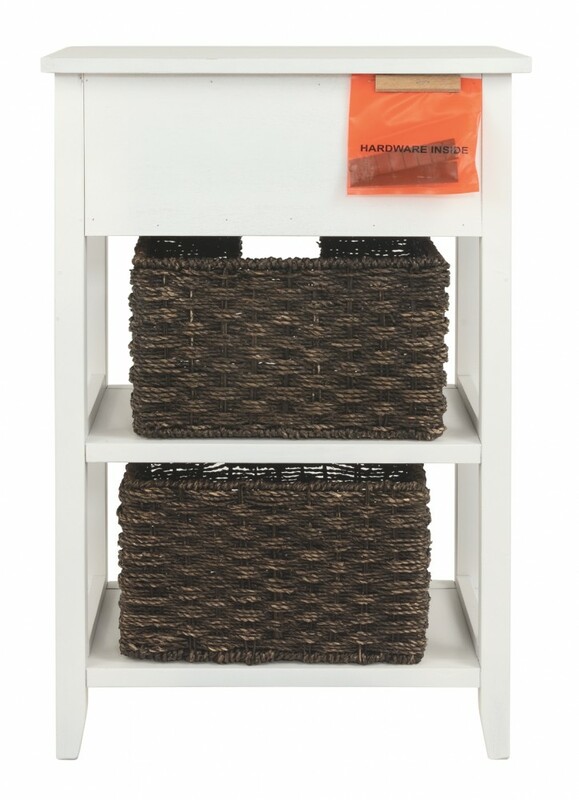 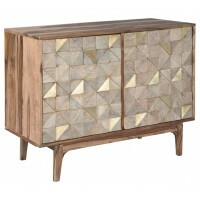 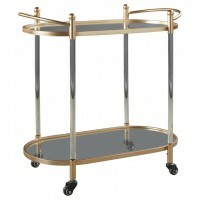 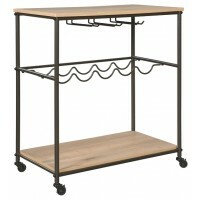 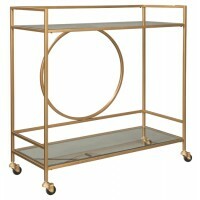 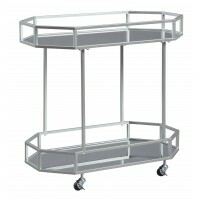 Be it in the home office or hallway, what a handy addition.